Designed for the detection of mutations from liquid biopsy samples, the Spotlight 59 Oncology Panel is a turnkey solution, offering ultra-sensitive variant detection from low input quantities of DNA. The high sensitivity of Spotlight 59 makes it ideal for CTCs, cfDNA, and other challenging sample types such as FFPE. 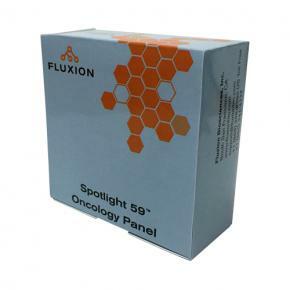 Used in conjunction with Fluxion’s IsoFlux Liquid Biopsy System, Spotlight 59 creates a complete sample-to-answer assay for high sensitivity mutation detection of solid tumor cancers from blood samples. 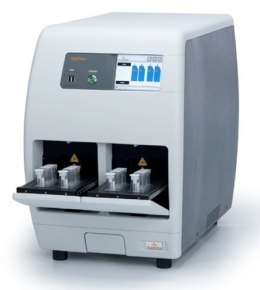 With BioFlux System for live cell analysis under shear flow and IsoFlux System for circulating tumor cell analysis, Fluxion Biosciences turn power of benchtop cellular analysis with advanced tools to automate complex assays. The Spotlight 59 Oncology Panel is a turnkey solution for Illumina sequencers, offering ultra-sensitive variant detection from low input quantities of DNA.